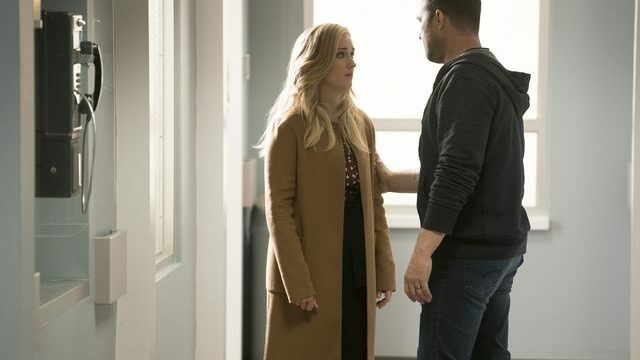 On the latest episode of Blindspot, Patterson (Ashley Johnson) and Rich (Ennis Esmer) went in search of The Book of Secrets to try and save Jane (Jaimie Alexander). If you’re not up to date with Blindspot and like to avoid spoilers we suggest you don’t read any further. With Jane now blind and her condition worsening it was looking like she wouldn’t have much longer to live. 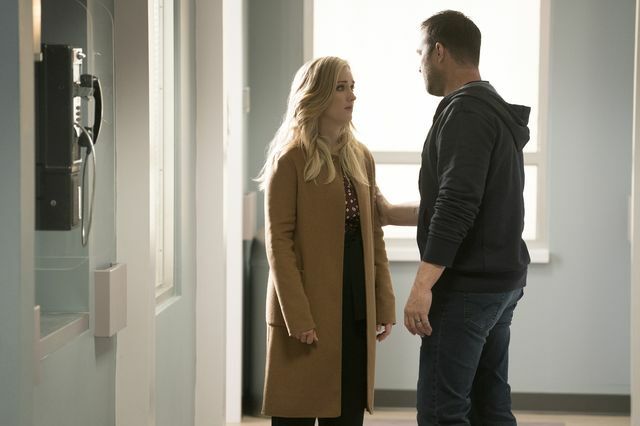 Thanks to another data cache, Patterson (Ashley Johnson) and Rich (Ennis Esmer) had identified a billionaire who stockpiled medical related items in an attempt to live longer. The good news is that he has some of the near-impossible to find Stanton cells needed to cure Jane. They met with him and explained Jane’s predicament but he refused to let them have the cells in case he might one day need them. Patterson asked if he’d swap them for the Book of Secrets that Rich had been searching for. It was rumoured to contain all kinds of medical cures. Now he was interested. The problem was they had no clue if the Book of Secrets truly exists or where they might find it. Rich’s best guess is that the Book of Secrets is in North or South America. Patterson got an idea and compared an image Rich had found with those in the data caches. She found an almost perfect match but Rich pointed out some differences, including a grid. Comparing the two images and filling in the grid where differences exist gave them a pattern. Running the pattern through one of Patterson’s many databases turned up the doors of the Cusco Cathedral in Peru. One difference pointed them at the corner of the building so they presumed if they went there they would find the book. Weller (Sullivan Stapleton) refused to go along as he wanted to be with Jane. Reade (Rob Brown) agreed to let them go but as an unofficial mission and he refused all of Rich’s luxury demands. In Peru, they found the cathedral but no Book of Secrets. Instead the corner of the building had a different pattern. This one matched a snake mural that was found in a bed & breakfast nearby. It turned out to be the home of a famous explorer who was thought to have found the Book of Secrets. The snake in the mural had an arrow-like tongue which pointed up. They asked for a room but were left disappointed when none were free. Thinking on his feet, Rich pretended to have forgotten to make a reservation and said they were on their honeymoon. Patterson staged a tantrum and the owner offered up her father’s old office. They took it and were delighted to find it crammed with her father’s old writings. Clues in the room gave them to a set of co-ordinates which took them to a statue of Jesus overlooking the town. 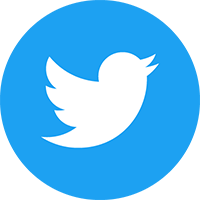 There they noticed a rock which they moved but again found nothing. A closer inspection of the rock revealed some engravings that pointed at a computer. They realised these were clues left by Roman and that he must have moved the Book of Secrets. With help from the office and Jane they unlocked a file that contained a note from Roman and a map that he had never managed to solve. Back in their accommodation they found a map of Machu Piccu which was a match. Two points were marked on the map and they worked out they needed to find the mid-point between them. This led them to an alter and Rich produced a trowel and began digging. He uncovered a box that contained the ancient Book of Secrets. Instead of taking it back to the billionaire they discovered he was there waiting and planned to double cross them. Fortunately Weller and the team were one step ahead and had the local police stop him. Patterson offered a deal, basically the Stanton cells in exchange for house arrest. With no choice he accepted the deal. They gave the Book of Secrets back to Peru (after Rich had photocopied it!). Elsewhere in the episode, Zapata (Audrey Esparza) took Boston (Josh Dean) in place of Del Toro. Madeline (Mary Elizabeth Mastrantonio) set him a hacking test using an old laptop to hack a bank transaction and he passed. Things seemed to go sideways when Madeline revealed his real name but together Zapata and Boston convinced her he was the real Del Toro. They brought a device to monitor the upcoming airline hack but Madeline decided to move to a secure location. The plan was to perform the hack later that day. Zapata and Boston looked worried. At the end of the episode, the team had recovered the Stanton cells and Jane had been given the treatment. She was up and about again and her sight had returned. Hopefully just in time to help stop Madeline. Can’t wait for the next episode? 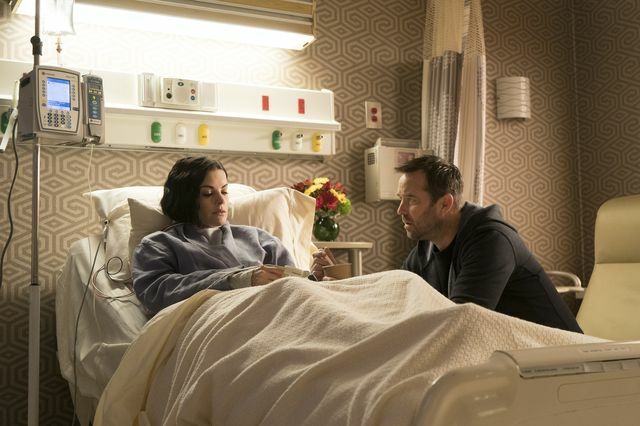 Read our Blindspot 4×13 Though This Be Madness, Yet There Is Method In’t preview. 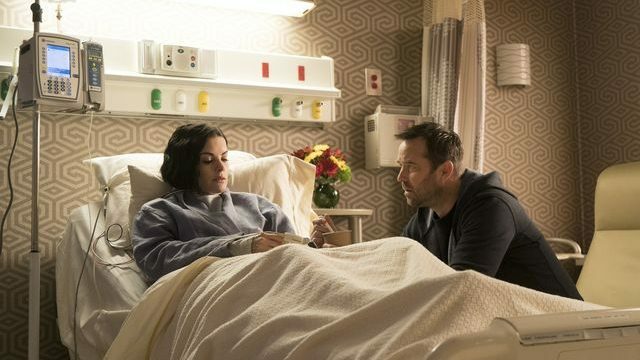 Blindspot season 4 episodes air in the UK on Sky Witness at 10pm on Mondays.